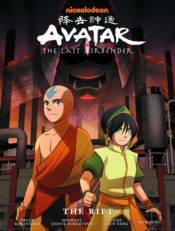 Avatar Aang and friends honor an Air Nomad holiday that hasn't been celebrated in over one hundred years, but when cryptic visits from the spirit of Avatar Yangchen lead Aang to a refinery operating on land sacred to the Airbenders, they soon find themselves in peril as a dangerously powerful ancient spirit awakens with vengeance and destruction on its mind! Collects The Rift parts 1-3. AVATAR THE LAST AIRBENDER - IROH w/TEA POP! AVATAR THE LAST AIRBENDER - KATARA POP! AVATAR THE LAST AIRBENDER - SOKKA POP! AVATAR THE LAST AIRBENDER - TOPH POP! AVATAR THE LAST AIRBENDER - ZUKO POP! AVATAR THE LAST AIRBENDER AANG & MOMO POP! AVATAR THE LAST AIRBENDER AANG ON BUBBLE US EXCLUSIVE POP! VINYL [RS] AVATAR THE LAST AIRBENDER APPA POP!